Around 16 million Nepalis still defecate in the open everyday as they have no access to basic sanitation facilities. But constructing toilet and maintaining hygiene still remains a great challenge throughout the country, especially in rural parts. To achieve the Millennium Development Goals on sanitation, Nepal needs to provide 73 per cent of the population with adequate sanitation by 2015. This seems a daunting task, which is difficult but not impossible. At present, Rs. 9 billion is invested in sanitation every year and if the investment increases to Rs. 14 billion, this target is achievable. Along with the investments, the concerned organizations, both government and non government organizations, should work towards better targeting of resources and provide proper leadership and accountability in fund management. A group of government and non government organization under the aegis of WaterAid Nepal has tried to draw the attention of the concerned agencies towards the burning sanitation issues in the country by organizing a programme on the eve of 11th World Toilet Day. The concerned organizations should not take this day just as a fanfare or one-off event. They should see this day as a call to action to keep sanitation in top development priority and work accordingly. This will certainly help to ensure that no one in the country is denied from the access to basic sanitation facilities. Kathmandu: It has been quite a long time since the private sector had planned to install 10 mobile toilets in the capital city but they have not been able to find space for installing mobile toilets. In addition, the Environment Management Department is yet to decide on the locations where the mobile toilets will be installed. Kathmandu: There is growing trend of living in apartments in the cities. Especially the facilities in the apartments have attracted people towards it. But, an apartment in the capital city has been found supplying polluted water to the apartment dwellers. During a monitoring visit on Friday, ‘Ammonia’ has been detected in the drinking water being supplied to the people living in more than 200 flats in Sunrise Towers located in Dhobighat Lalitpur. Kathmandu: Around 16 million Nepalis still defecate in the open and 6.5 million of them do not have access to clean water, a WaterAid report made public today said. Many village development committees in the country are still waiting for funds to meet their residents’ water and sanitation needs, said the report ‘Off-track, off-target’, which was made public at a programme organised by WaterAid in association with Kathmandu Metropolitan City, Lalitpur Sub Metropolitan City, End Water Poverty campaign and the National Federation of the Disabled. Kathmandu: Water Aid, in association with End Water Poverty Campaign, Lalitpur Sub-Metropolitan City, Kathmandu Metropolitan City and in partnership with NGOs working on water and sanitation along with Nepal Disabled Federation, organized a talk program on World Toilet Day on Friday, November 18. The event included presentation of sanitation reports, and a documentary titled “Aba Dhilo Nagarau” (Let’s not delay any longer) on the condition of public sanitation in and around the Kathmandu Valley, a photo exhibition and interaction among sanitation workers. Kathmandu: Five persons have been booked on Thursday by the Kathm-andu Metropolitan City for throwing garbage in public places. Those punished are the residents of Charkhal, Thapathali and Gyaneshwor. KMC caught them while dumping garbage outside containers and fined Rs 1,000 each. Many people ran away when city police swung into action to arrest them red-handed, said Rabin Man Shrestha, chief of KMC’s Environment Division. Kathmandu: It seems that Nepal has still a long way to go to achieve the national goal of access to safe drinking water and sanitation thanks to crowded chowks of its Capital that are often used as comfort stations. The failure on the part of stakeholders to increase the number of restrooms in proportion to the city’s population has been its apparent cause. Kathmandu: The Asian Development Bank (ADB) has awarded three outstanding projects in Nepal on Tuesday for their excellent performance in helping improve the lives of rural poor in the country. The ADB-run projects in different areas have been providing safe water supply and sanitation and income generating opportunities and bringing about sustainable urban development. Kathmandu: The Kathmandu Metropolitan City (KMC) has decided to place garbage containers in every ward for hotels, restaurants and shopping malls that produce waste materials on a large scale and usually dump them on the streets. Such containers will be placed in open spaces where the hotels, restaurants and malls can dispose of their garbage. The KMC has also issued directives to its ward offices to find places to put the containers. Pokhara: Local people smeared soot on a Dalit teacher’s face in Kaski reportedly for protesting mistreatment against Dalits. 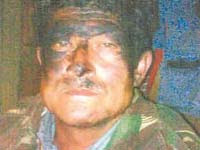 The soot-smearing matter came to light after Karna Bahadur Nepali, principal of Ghandruk-based Talbarahi Primary School, lodged a complaint with the police demanding action against the guilty. Karachi, Pakistan: A spectacle of a man crouching down in front of a wall, along a street corner or behind a tree can easily make passers-by get what the person is up to while being this indecent practice become routine in Karachi, the civic authorities never bothered to consider a need for decent public toilet system. A World Toilet Day is observed every year on November 19 to raise global awareness of the struggle of 2.6 billion people facing every day without having access to proper and clean sanitation worldwide. Jaipur, India: In Rajasthan only 40% of rural household has toilets and less than 13% of the population in the state has access to it. Acting on this alarming situation, the state government has drafted a policy on rural sanitation and hygiene, a strategy for achieving the vision of "Nirmal Rajasthan" by 2015 and a "Swachh Rajasthan" by 2022. The Kathmandu Metropolitan City (KMC) has slapped fines of Rs. 5,000-Rs. 10,000 on those caught in the act of throwing their waste on the street (‘Garbage containers in every ward’, Nov 15). The Waste Management Act 2011 stipulates a fine of Rs. 500 to Rs. 100,000 and a jail term of 15 days to three months for the offenders. I believe KMC should have charged the culprits with penalties on the higher end of the penalty spectrum. Some could even have been jailed. Through a letter in your paper, I was happy to note that at least someone has been fined for littering the streets. Going around the city, there is no dearth of people, shops and restaurants that could be fined, and the municipality could raise a hell lot of money, enough to pay for its transportation of garbage from the city to the landfill site. Three juice shops in Kathmandu faced penalty for throwing garbage recklessly on the streets. The Kathmandu Metropolitan City (KMC) has slapped a fine of Rs. 5,000 each on the three juice shops after the shopkeepers were caught red handed littering the streets. The Waste Management Act 2011 stipulates a fine of Rs. 500-Rs. 100,000 and a jail term of 15 days to three months to offenders. But the municipalities have not been able to take stern action against the offenders. Simply replacing plastic bags with paper ones is not a solution to keep the environment clean (“Bring back paper bags,” November 15, Page 7). While I agree that plastic bags shouldn’t be promoted as they are bio-non-degradable, I disagree that stopping to use plastic will be enough. If we use paper bags instead, there will be a problem with that as well. We, the students of Chitwan Medical College, MBBS first year, had conducted a household survey in Mangalpur VDC of Chitwan district. There was a question in the questionnaire about waste management. It was striking to know that out of 516 households in the VDC, 93 percent of them burnt polythene bags and plastic. They burnt plastic to get rid of unwanted plastic and also to ignite fuel wood easily. In short, they burnt plastic excessively.